At Precision Window Tinting we all have a passion for cars and treat your car as if it was our own. We are an owner operated business and employ 3 expert window tinters who are all extremely professional. As the owner Juan Maldonado has been tinting since 2005 and has tinted thousands of cars. After re-establishing a failing tint shop in northeast Philadelphia he decided he could provide better service and an all around better experience for the customer so that motivated him to open his own business. He has been doing exactly that since then. We are the first tint shop to offer affordable COMPUTER CUT window tinting in the Tri-state area. When you decided to bring your car to precision window tinting you can be assured that your car will be handled with care. 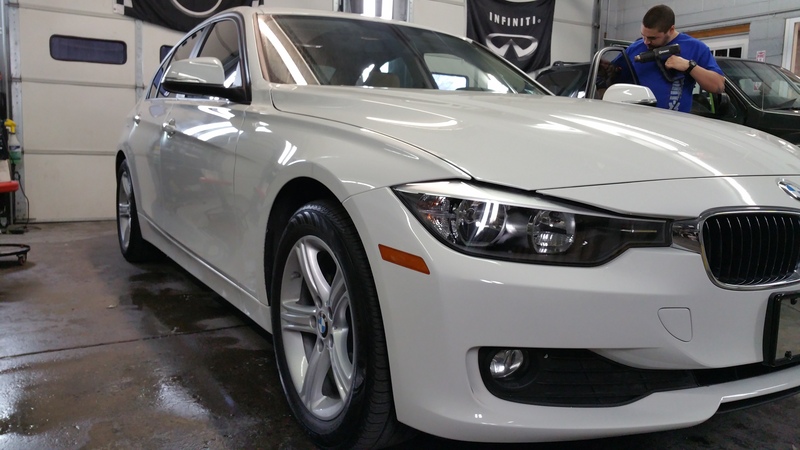 During the window tinting process a water soap solution is used and we take the extra time to make sure we dry your door panels and give you back your car the way you gave it to us. The way our shop is set up you can watch your car being tinted through a glass door. Our place of business is clean and we do have a waiting room for our customers. We have a very large lot so parking is never a problem. We will be as excited as you are to tint your car. Hope to see you soon, Thank you.